Quantum and Costa for being so generous with the Prizes. 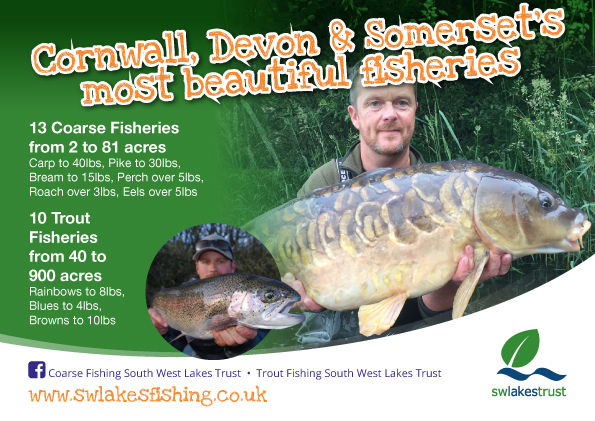 The Runner Up of the Lure Weekend 2018 was **SCOTT WAY** Winning with 5 Species amounting to 180.5cms consisiting of a 51.5cm Pike, a 35cm Tiger Trout, a 16cm Perch, a 39cm Blue Trout and a 39cm Rainbow Trout. 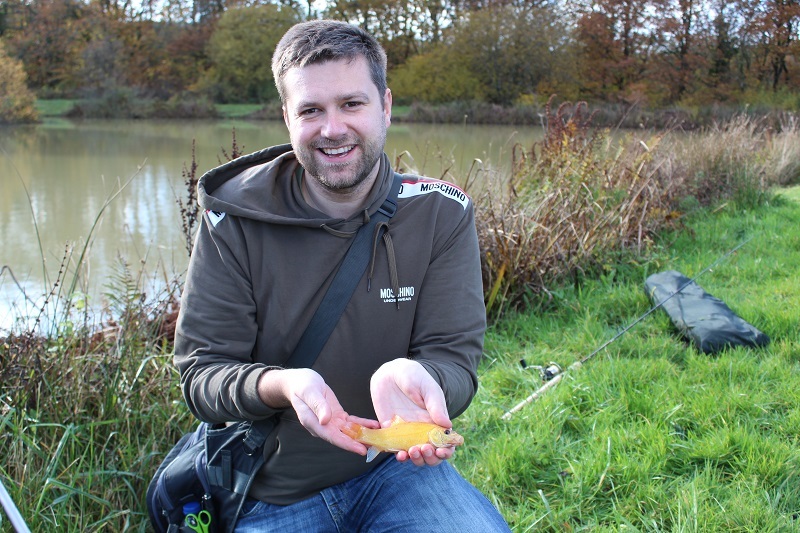 Massive CONGRATULATIONS to Scott, this was his first ever Lure Weekend with us too! Scott was in Team Fox Rage with Captain Ben Humber who was very proud of Scott’s determination and dedication till the very last whistle! This Catergory was Sponsored by QUANTUM who we’d like to say a massive Thank you for the very generous Prizes donated to the Event. 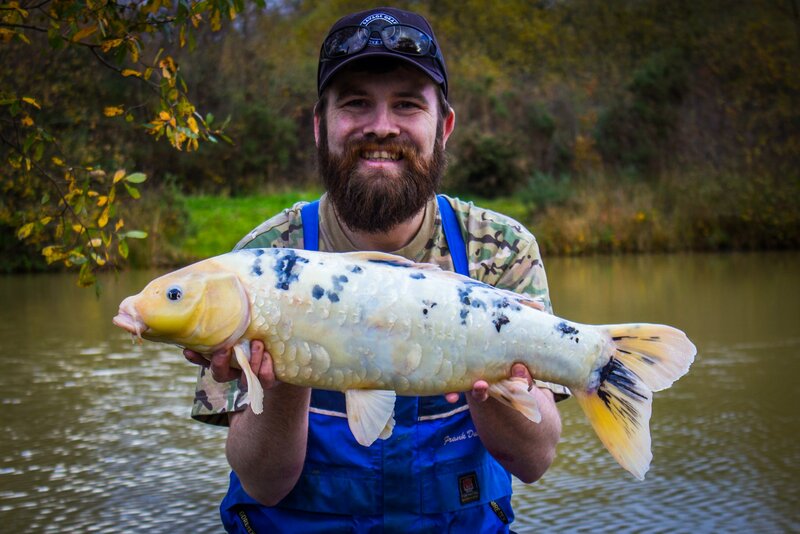 This was without a doubt the Winner for the new Catergory – Fish Of The Weekend – Sponsored by FOX RAGE. 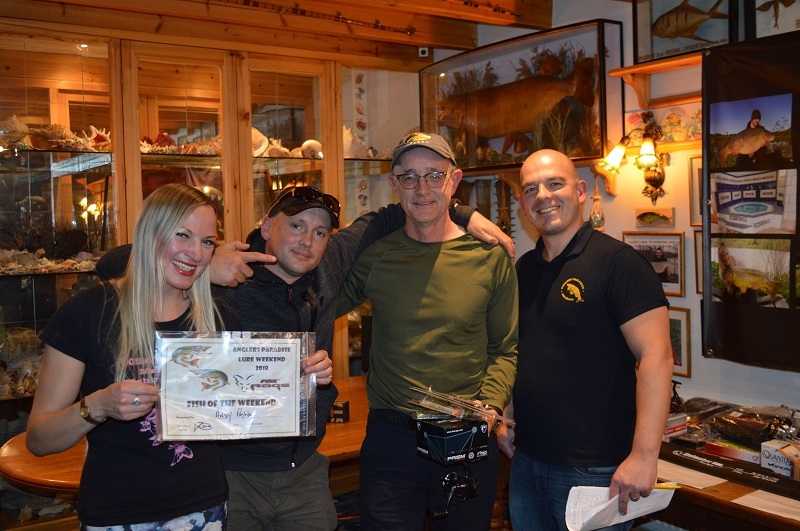 Andy also came THIRD in the overall Competition catching 5 Species to 160.5cm consisting of a 17cm Perch, a 34cm Blue Trout, a 32cm Golden Trout, a 10.5cm Rudd and the 67cm Common Carp Wining more prizes from the very generous Quantum! 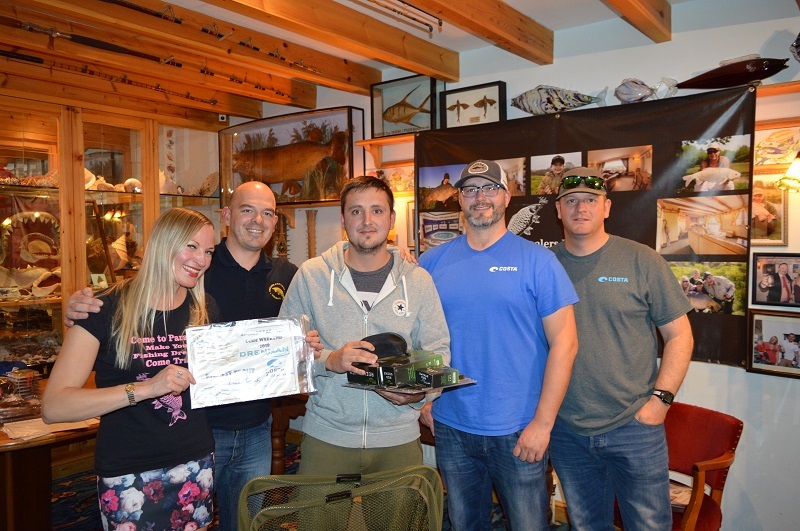 The Winning Team of the 2018 Lure Weekend is Team Fox Rage with Team Captain Ben Humber leading them to VICTORY!! 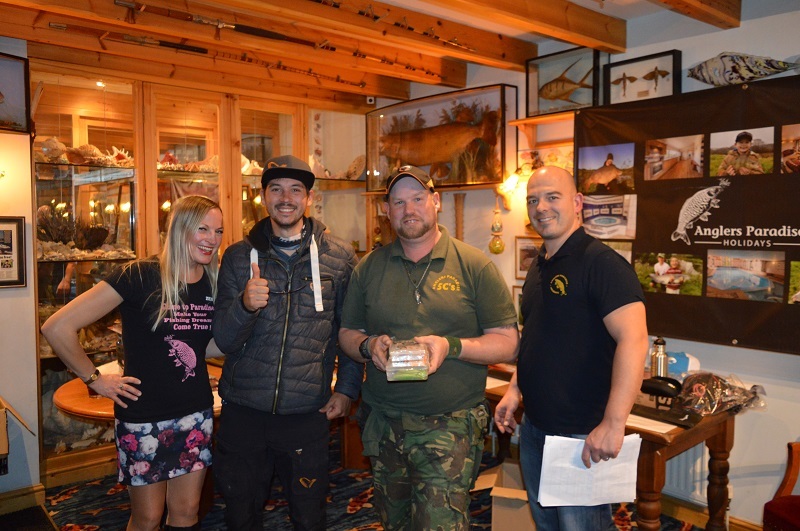 It was the closest Competition EVER, Team Ben Humber WON with 9 Species to include Pike, Perch, Common Carp, Blue Trout, Rainbow Trout, Tiger Trout, Brook Trout, Golden Rudd and Rudd. 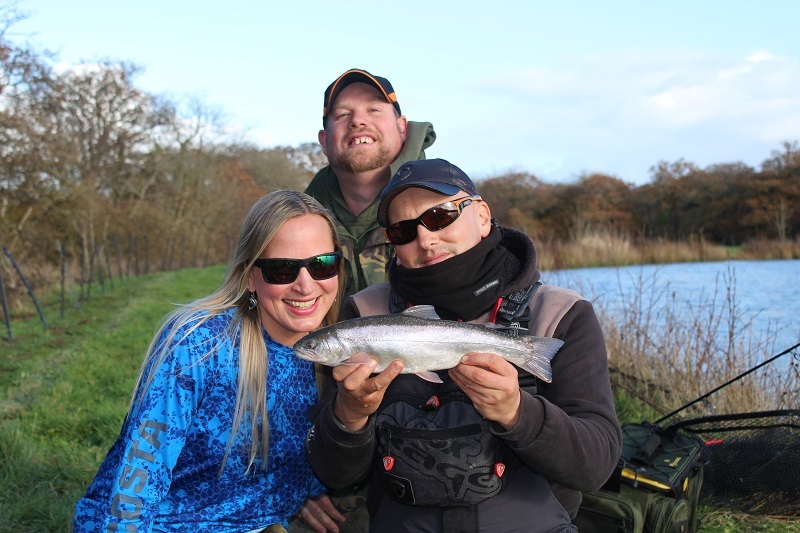 A Big Shout out to all the Team Captains for doing a Fantastic Job and well done to all of the Anglers for fishing it until the very last second – pure dedication to Fishing! Thank you to all the Sponsors for yet again great Prizes for this Catergory – Quantum, Fladen, Costa, Drennan, Savage Fishing Gear and Fox Rage. 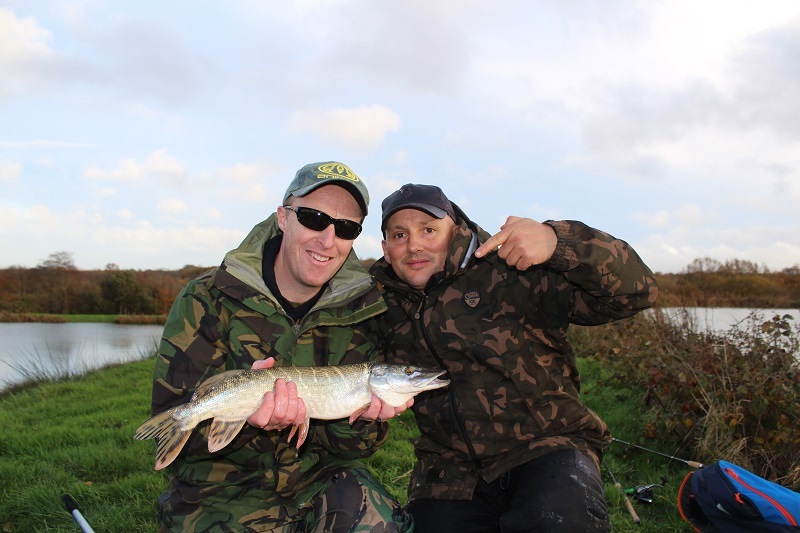 The BIGGEST PIKE caught at the 2018 Lure Weekend was caught by the one and only DION COOK-MARTIN measuring 62cm from Valhalla. DION was in Team Fox Rage with Captain Ben Humber leading him to Victory! 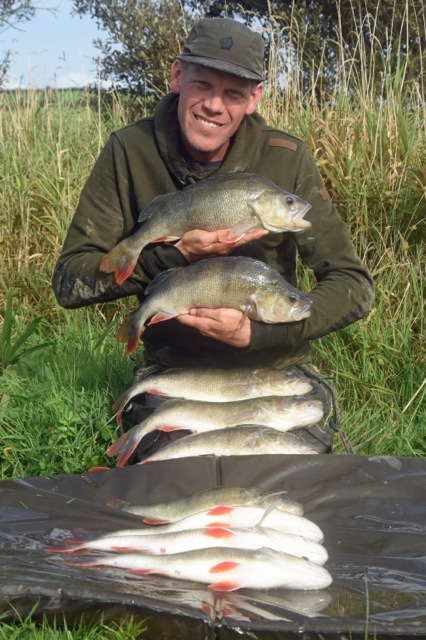 For the FIRST EVER time, a Female Angler has Won The Biggest Perch catergory with a 27cm Perch caught by Derian Edwards!! 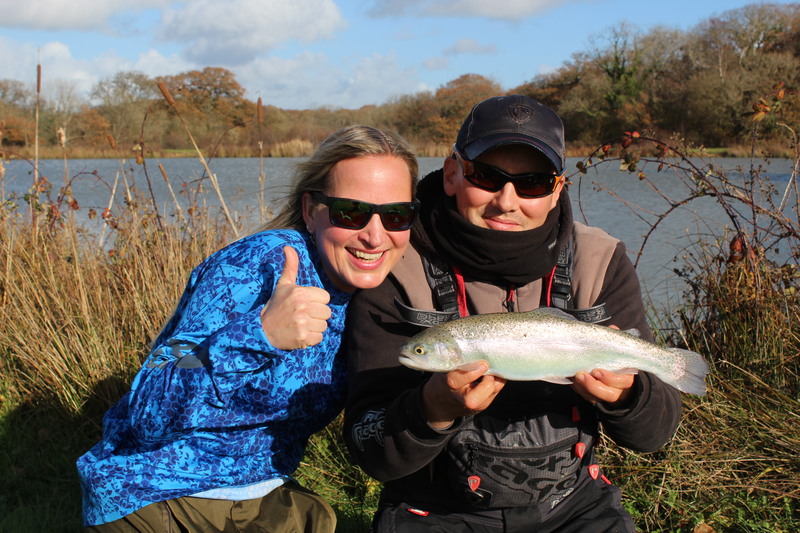 This year’s Competition saw 5 Lady Anglers join us, which is fantastic to see more Women joining in and proving that the sport of fishing is ever growing with ladies that fish too and in this case do it better!! I for one am always trying to encourage more females to fish and join in, in this case Derian didn’t want to join in the Competition as she’s a beginner to fishing and didn’t think she could, but I assured her partner Brett, that this was an event for all levels of angling and is a friendly Competition that anyone can join in and that she would be welcomed by all, she changed her mind and decided to fish the Lure Weekend. Then she only went and WON BIGGEST PERCH!!! We are so proud of Derian, congratulations on becoming the FIRST LADY to WIN a Catergory!! Derian won a Fox Rage Rod and Reel and a pair of Costa Sunglasses, many thanks again to the Sponsors of this CATERGORY – Fox Rage and Costa. 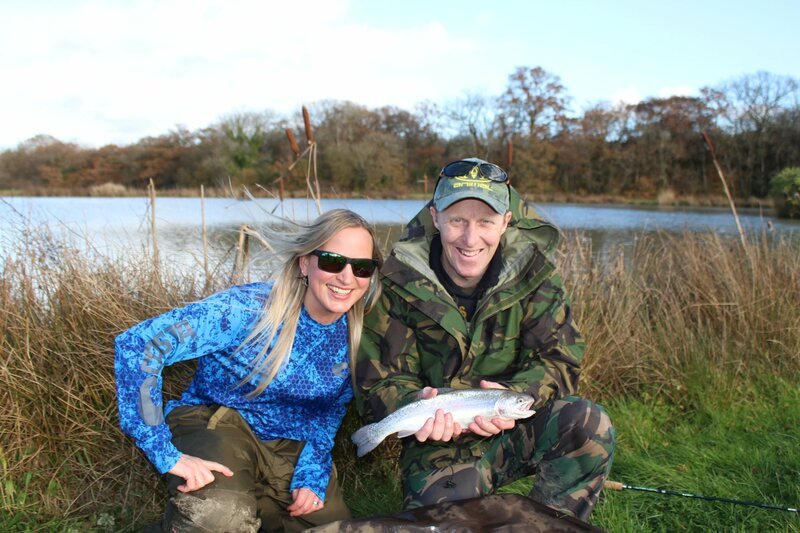 Derian was in Team Savage Fishing with Captain Robbie Northman who was extremely proud of his Team Member!! HERE’S TO SEEING MORE LADIES FISHING LIKE DERIAN!! GIRL POWER!! 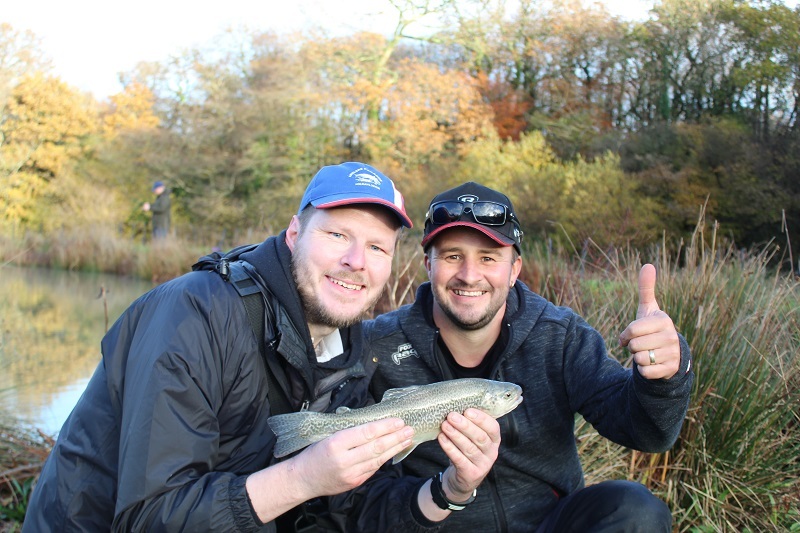 Luke Taylor Won this Category with a lovely 45.5cm Rainbow Trout from the Trout Lake caught on the second morning of fishing, Luke also caught a 35.5cm Artic Char to add to his list of species! Luke was in Team Savage with Robbie Northman as Captain. 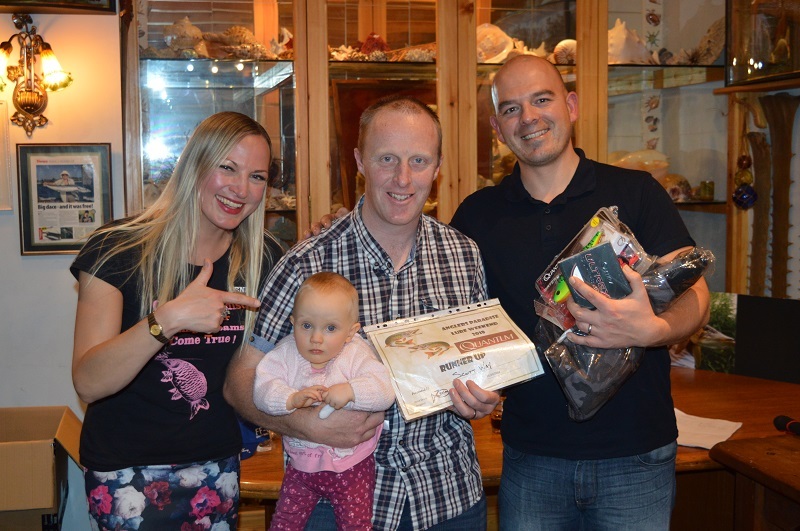 Luke won a selection of Drennan goodies AND a pair of Costa Sunglasses – Thank you to Drennan and Costa for the great prizes and for sponsoring this Category. 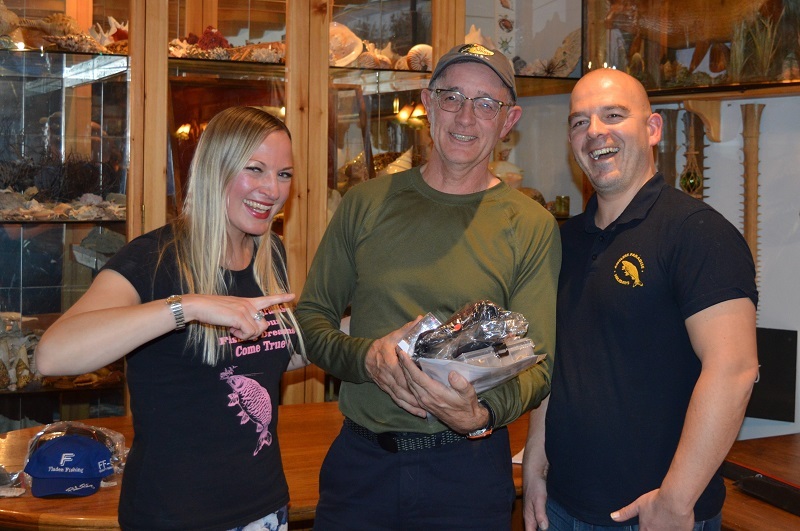 With so many fantastic prizes donated from the Sponsors, we decided to have a New Category which was judged by me (Zenia), the Captains, Adjudicators etc to vote on who they thought was the most improved Angler over the weekend. 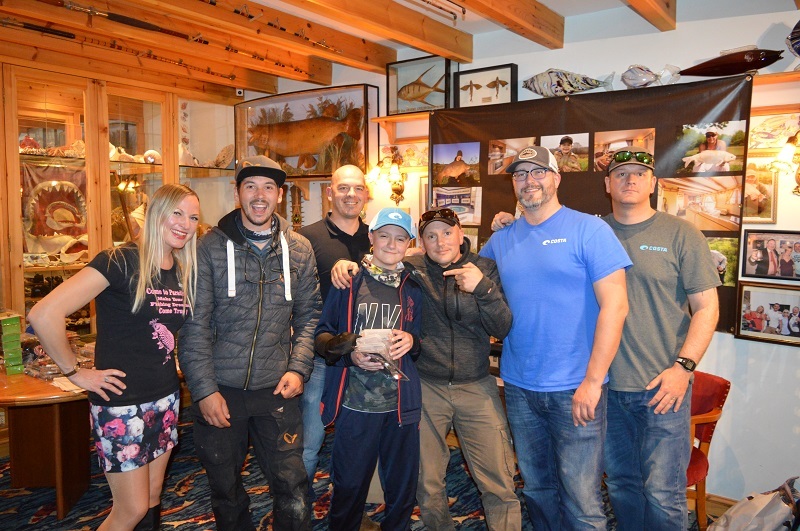 The Winner of Most Improved Angler went to Anthony Addison, who from start to finish went from strength to strength and throughout the weekend Anthony learnt so much especially from his Team Captain Kevin Cox. Dylan Cooke (who was the youngest member of the competition) and DION were Runners Up who both showed determination and dedication especially in challenging conditions at times!! 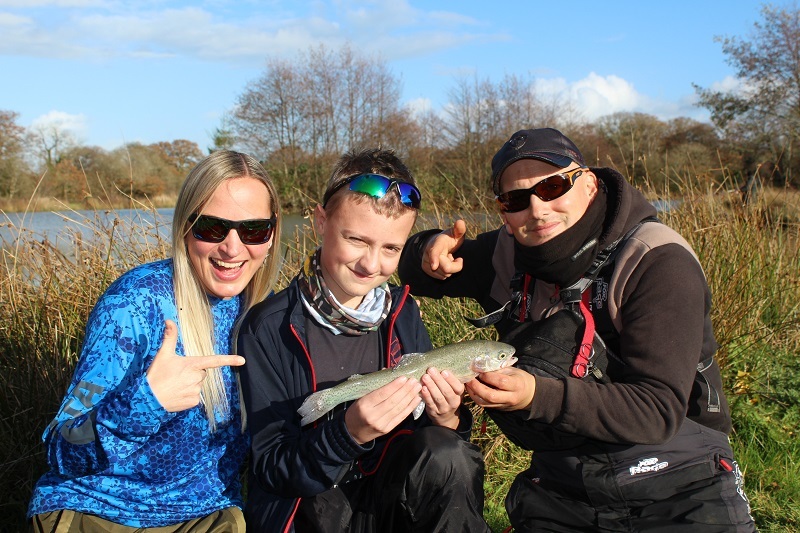 Good on you boys – keep up the great Angling and passion for learning. 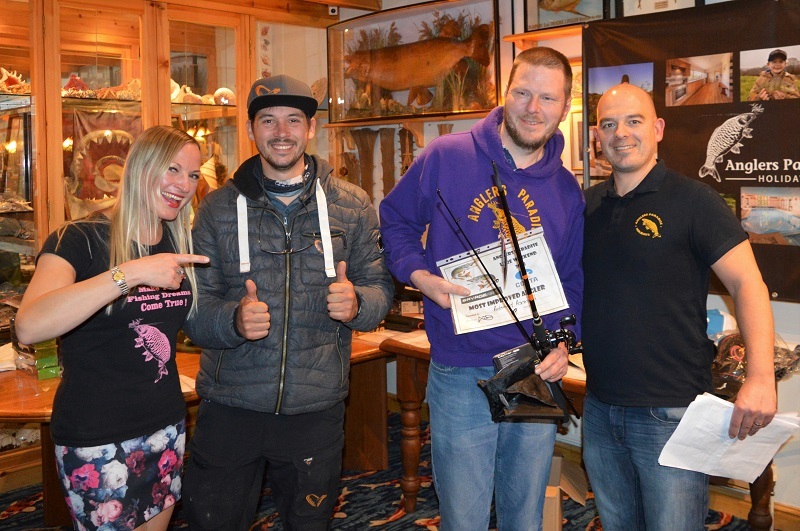 This Category was sponsored by Savage Fishing Gear and Anthony won himself an amazing Savage Reel AND Rod!! 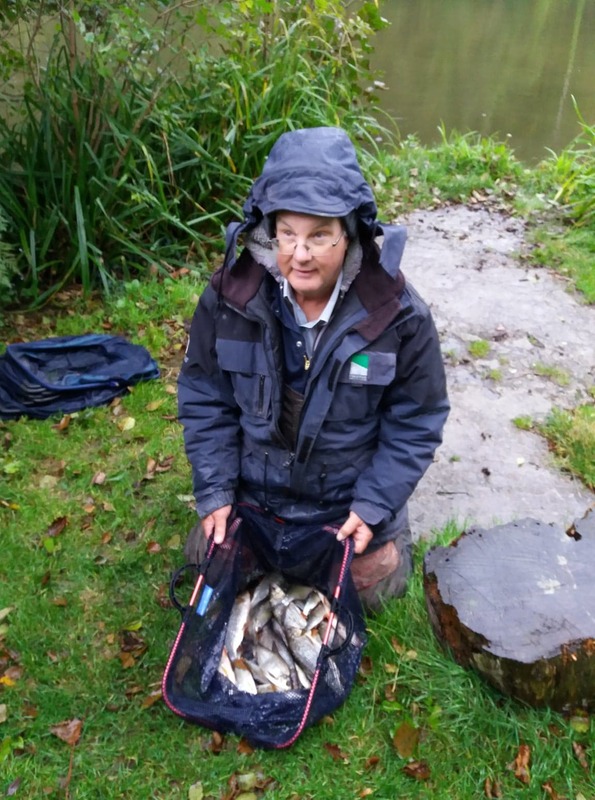 The Blind Team Winners were Michael Molloy, Ian Paynton, Lee Paynton, Ben Taylor and Steve Self with 10 Species consisiting of Pike, Perch, Blue Trout, Rainbow Trout, Golden Trout, Tiger Trout, Rudd, Golden Rudd, Golden Tench and a Common Carp. Last year it was won with 4 species, so 10 is pretty awesome!! Special Thanks to Costa for the Prizes. So, that’s a wrap! As you can see, there were lots of fish caught and we are proof that THERE IS SUCH A THING AS A FRIENDLY FISHING COMPETITION!! 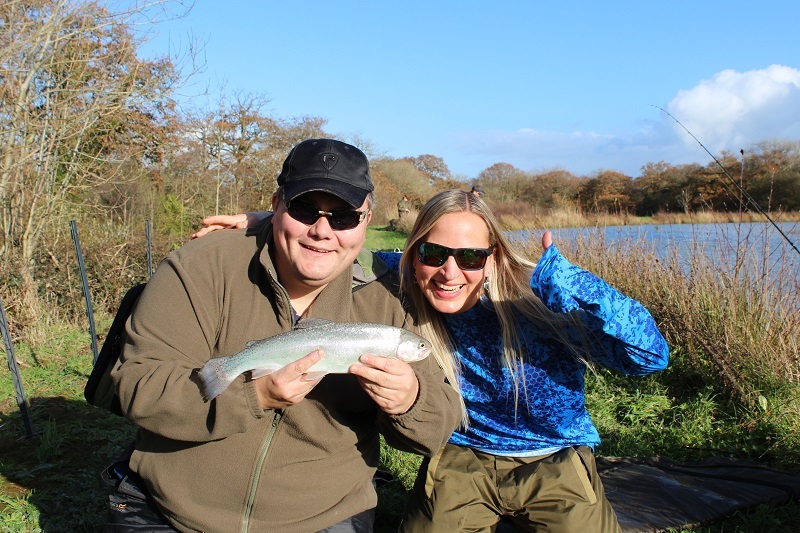 Looks like a crackinglure fishing weekend at Anglers Paradise – Full results to follow as soon as Zenia compiles a full report! WHAT AN AWESOME 2018 LURE WEEKEND!! 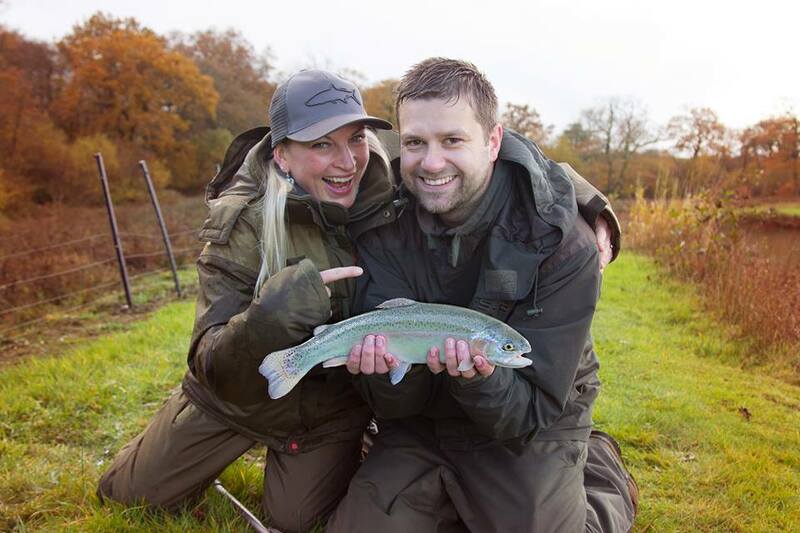 The Lure Weekend has officially finished, and what an amazing Weekend it was!!! 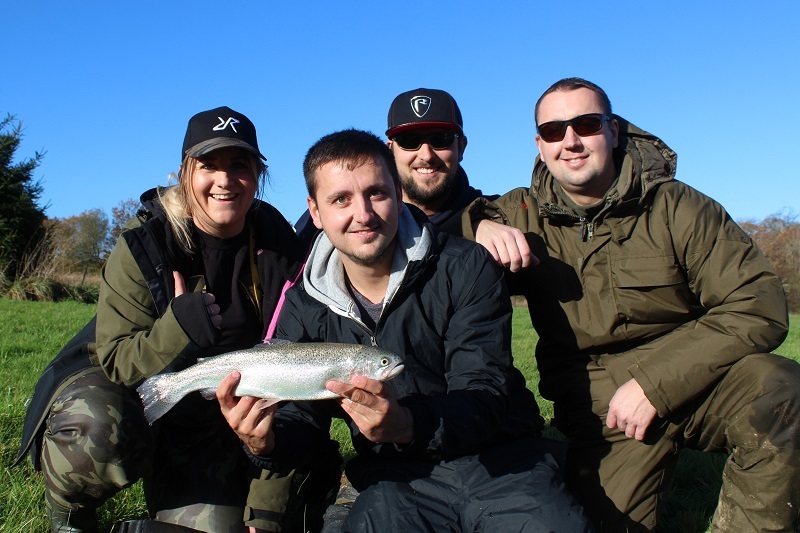 The Anglers fished their socks off and the Captains did their Teams PROUD! 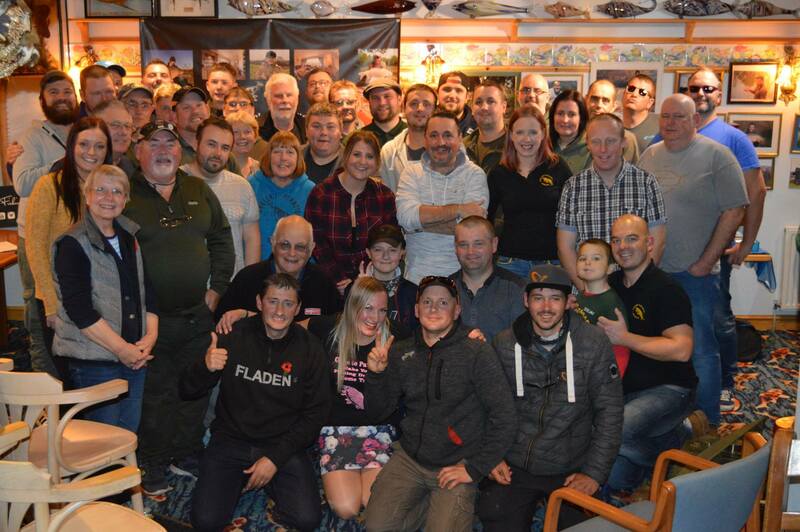 I honestly don’t know where to start, I’m missing everyone already, it’s a weekend where Anglers from across the Country join us and we all share the passion of Fishing, make friends, laugh (alot!! ), Fish, and have a ‘Ruddy’ good time! 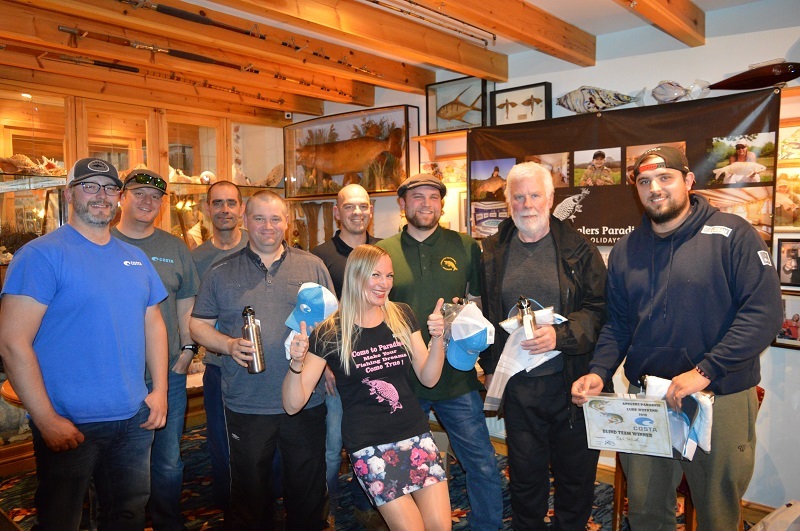 This was the BIGGEST 5th Lure Weekend at Anglers Paradise and it couldn’t have gone better, I want to thank every single one of you for being a part of our Lure Family, I honestly feel so blessed to have the opportunity to Host such a great Event and meet such wonderful people doing it, thank you for making my job such a pleasure!! A MASSIVE Thank you to the Team Captains who did us so so proud – Nathan Edgell aka the Pike King who represented Team Fladen, Ben the ‘Stinky’ Humber who represented Team Fox Rage, Robbie Northman who represented Team Savage and Kev Cox who represented Team Fox Rage who sadly couldn’t make the presentation as had to be taken to Hospital. The poor chap had Flu all weekend but tried his best to battle the Weekend out but it defeated him on the last day and turns out he has severe Pneumonia on both lungs, he’s now back and home resting and on anti-biotics – Kevin – thanks for doing an awesome job despite feeling how you were – we wish you a speedy recovery and please rest!! 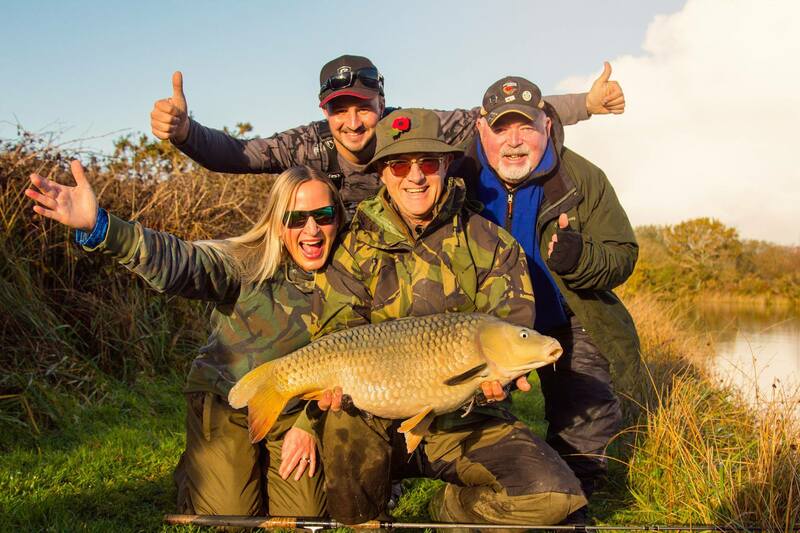 The Team Captains did a SUPERB job yet again and the results of the Lure Weekend will be trickled out throughout the week – so watch this space, I need a day to recover and then I’ve got 100’s of pictures to sort!! Thank you to John Deprielle from Fladen who was our Professional Photographer of the Event, he’s taken some amazing pictures that I can’t wait to share with you!! Thank you to the Costa Boys – Adam Sinclair and Ben Bagham who joined us and gave some amazing Prizes for the Winners inc 5 Pairs of Sunglasses!! 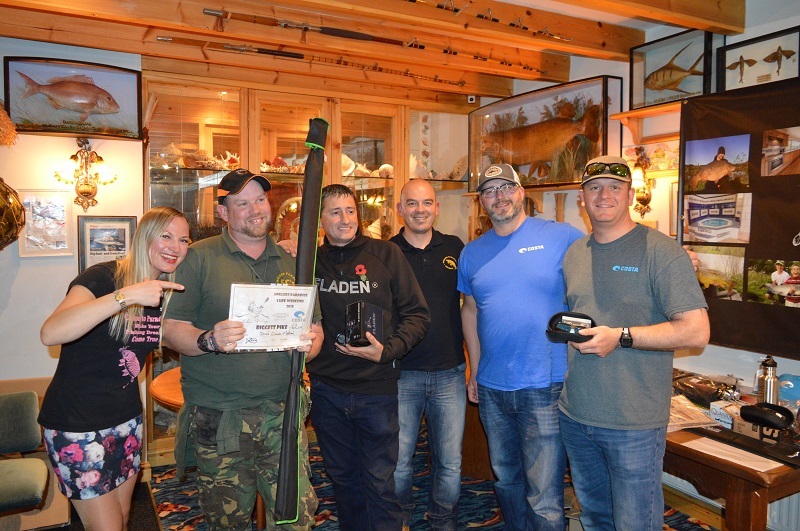 Thank you to all the Sponsors – Fladen, Fox Rage, Savage, Costa, Quantum and Drennan – The Prizes were absolutely Phenomenal this year and the Winners went home with massive smiles with all their goodies!! Thank you to the Adjudicators – George Crisp, Paul Oglesbee, Ashley Bunning, Paul Tegg and Jamie Noone – You ALL did a superb job and made sure everything went to plan! 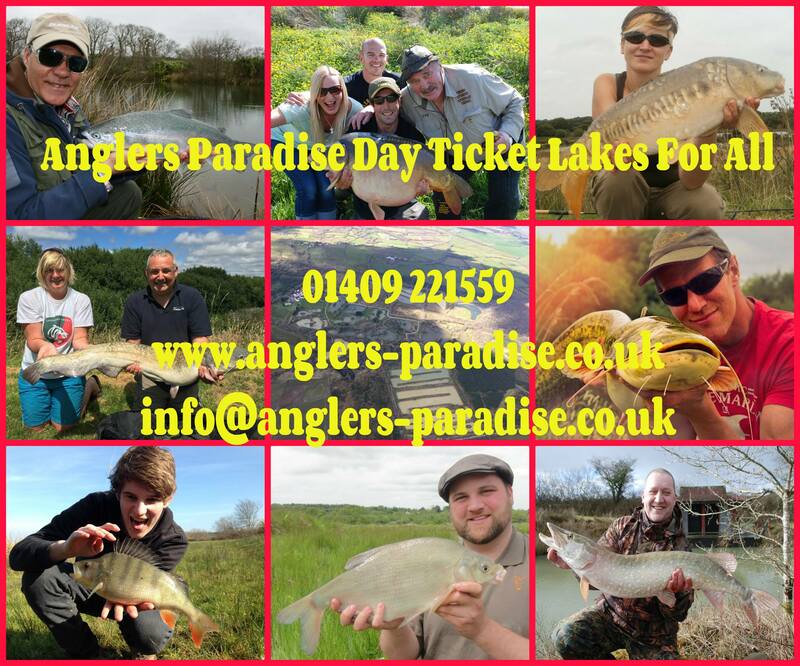 Thank you to the Staff at Anglers Paradise – Especially Kit Edmonds the Chef who made sure the Anglers were fed – the Food was amazing and Kit didn’t stop from 6am right the way to 8pm!! Not forgetting my husband who helped me massively to make sure everything ran smoothly – I couldn’t have done it without him!! There were some great catches and you won’t believe the surprise catches until you see them!! All to be announced and REVEALED in the coming days!! 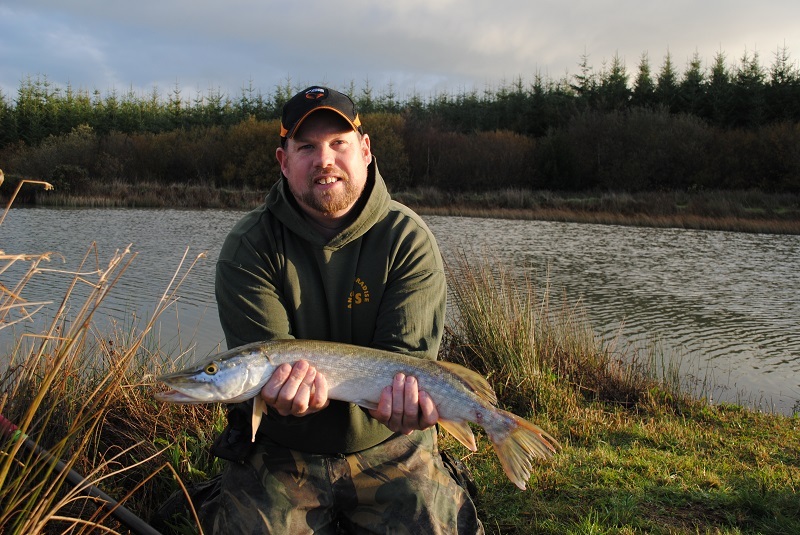 North Devon Winter League No 2 fished on Mill Park , Berrynarbor . 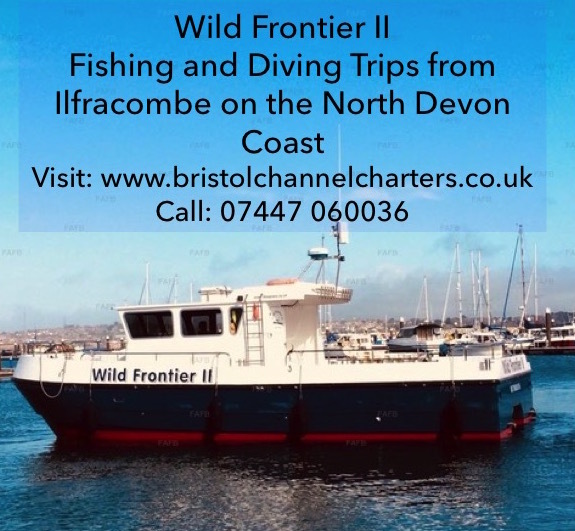 North Devon Match Group enjoyed a day fishing for the silver fish for which this venue has gained a reputation for some stunning nets. 5th Neilsen Jeffery 9lb 14oz. 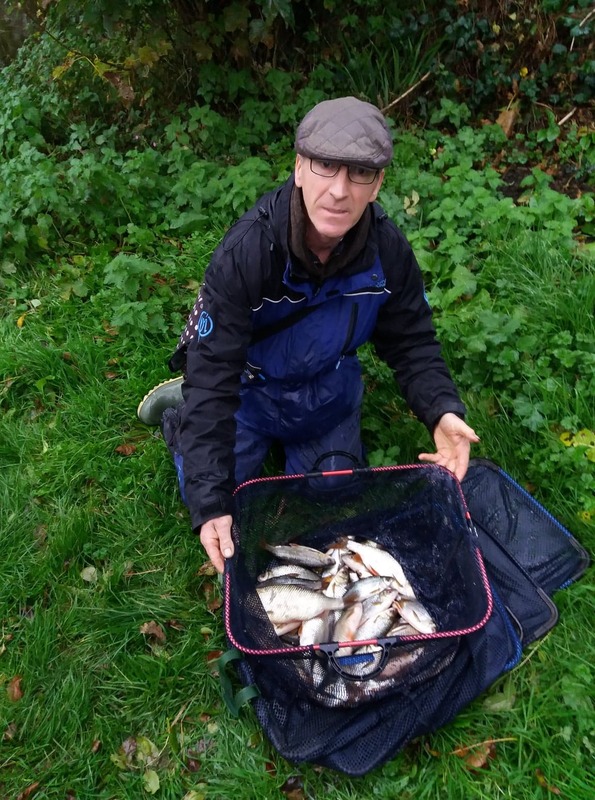 Twelve fished Conditions in near perfect although light rain dampened the competitors at the weigh in. 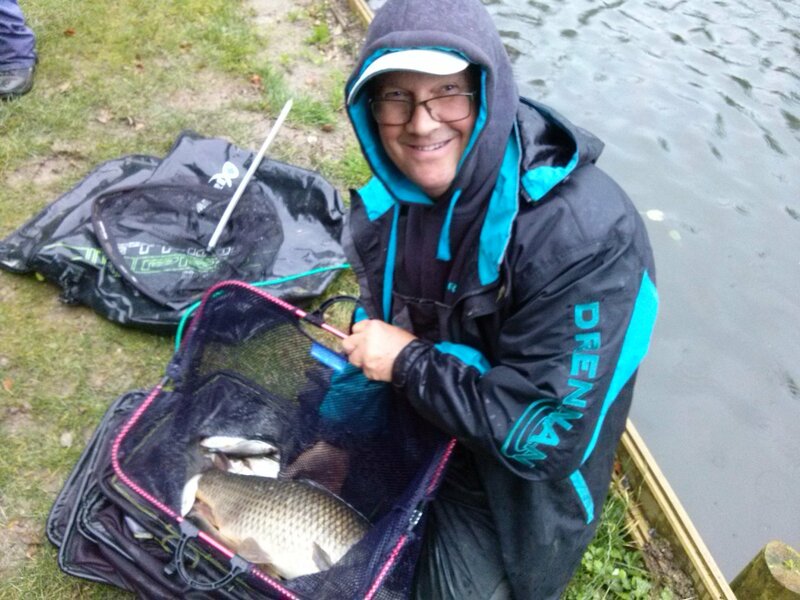 The larger roach which normally dominate the the frame proved more difficult to tempt Martin Turner managed to land a decent net of them on peg 2 for 1st place , using long pole with hemp ,casters and tares . 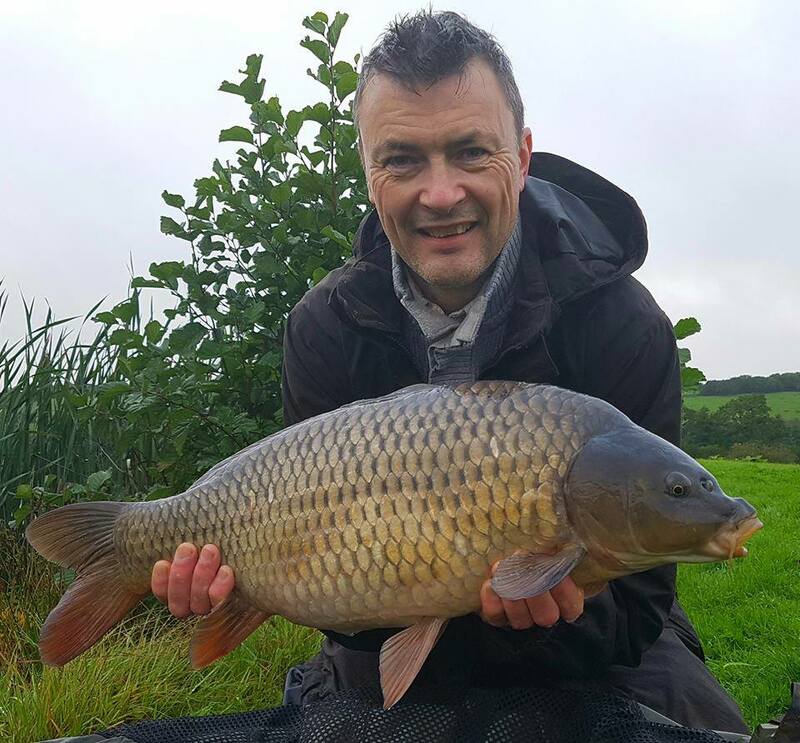 Martin Crouch’s first visit to the venue was rewarded with a waggler caught net for 2nd place , which included a fine near double common carp, landed on the stream side peg 10. Richard Jefferies on the adjacent peg 9 also landed a carp and some skimmers on the tip for 3rd spot. Paul Elworthy alternated between tip and pole on peg 1 for 4th place. 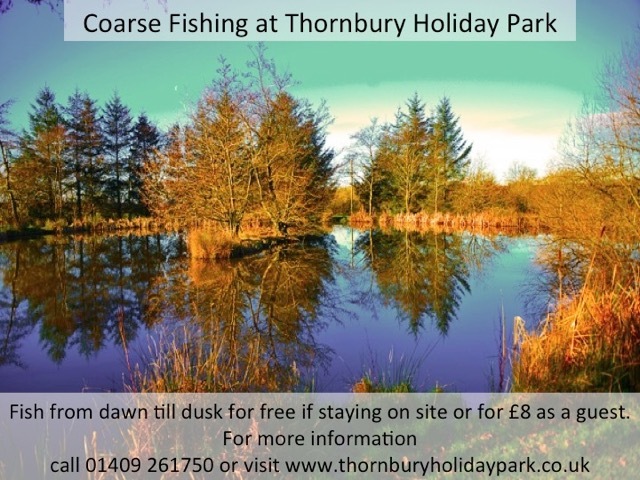 Thornbury Holiday Park near Holsworty have two fishing lakes 8 feet deep that have been established for approx 20 years. 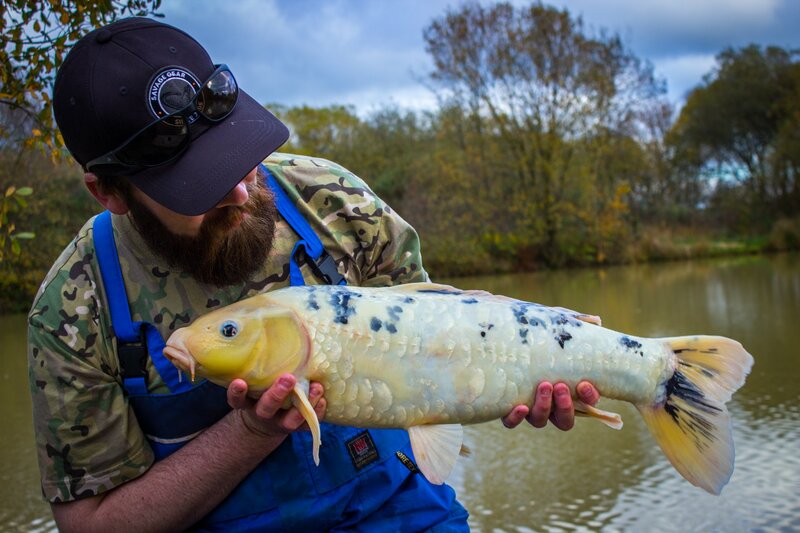 Both are fully stocked with a variety of healthy Carp, specimen Carp and other course fish. 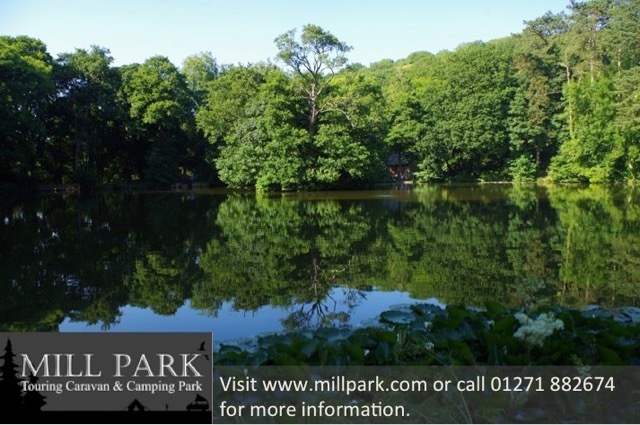 The lakes are 1.25 and 1 acre in size and fishing is complimentary for guests staying in our lodges and cottages. A daily £8.00 fee applies to all other visitors. 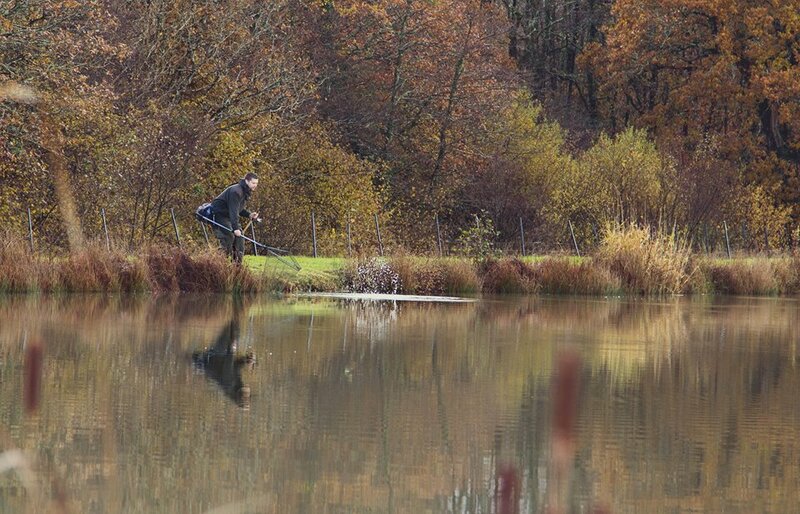 Everyone can fish from dawn till dusk at our beautiful lakes. 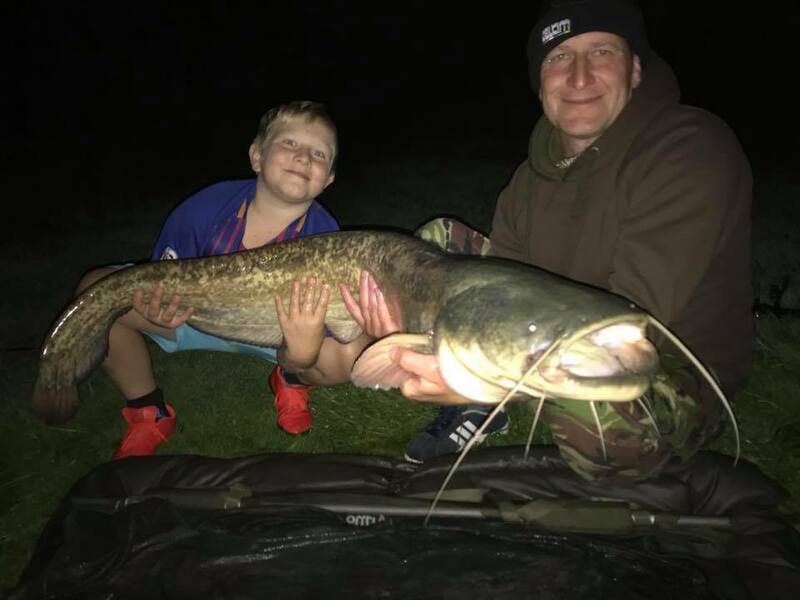 Above) Paul Baker recently took his son to Anglers Eldorado to show him what a real Catfish looked like up close and they caught this 30lb Wels Catfish from the Bottom Cat and Carp Lake 2 caught on double halibut pellets. 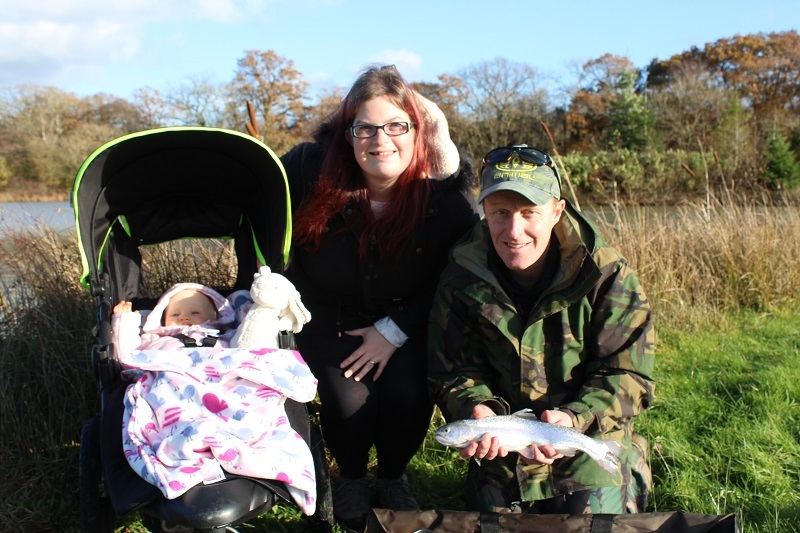 Lovely to see Families on the bank sharing their passion of fishing with siblings – what it’s all about! 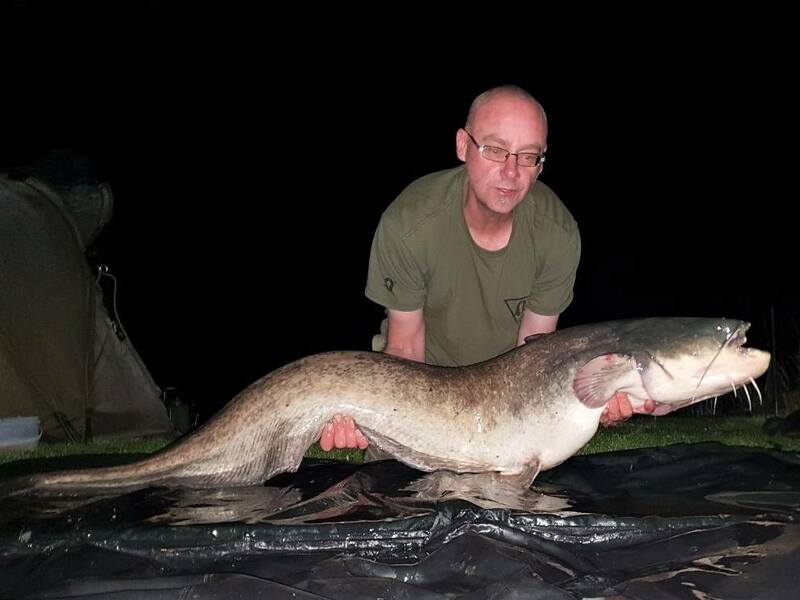 David Poolman fished Nirvana’s Day Ticket Specimen Cat Lake and managed to catch a personal best 56lb 8oz Catfish in the early hours. 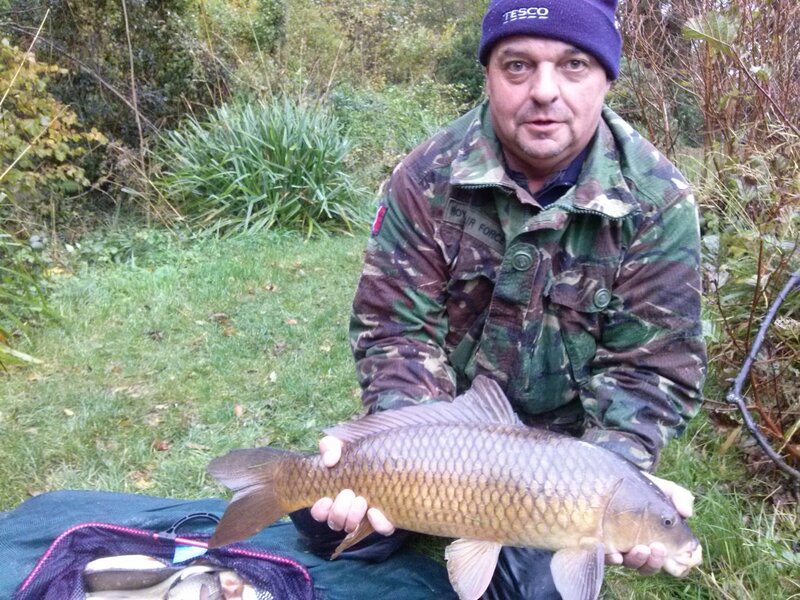 David caught his PB on a soaked halibut pellet/squid pop up combination. 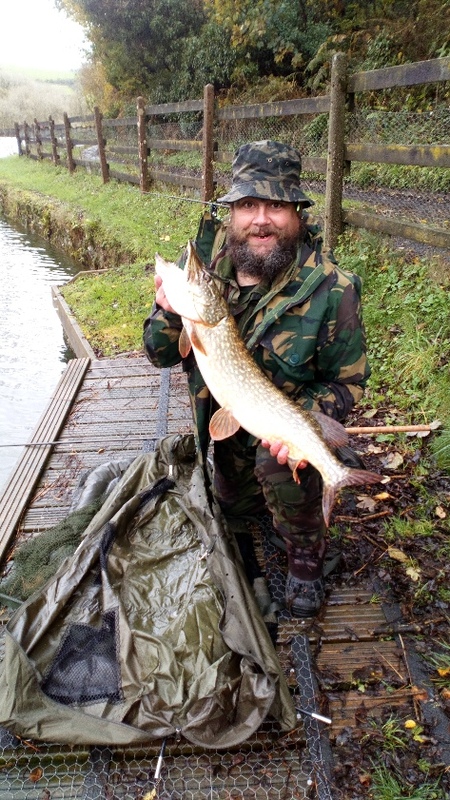 (Above)Angling Guide Julian Chidgey organised a Cat and Carp Camp weekend at Nirvana. The conditions were tough to say the least, they lost a few but Morgan Lloyd from Oxfordshire saved the weekend by catching his 1st ever Catfish at a whopping 60lbs 3oz and a 15lb Common both from the Specimen Cat Lake. ‘Well what a weekend that was! Winds that threatened to launch bivvies into the lake, and rain that had me contemplating building an ark! The anglers who attended the Carp and Cat Camp stuck at it despite the weather, knowing that it would only take 1 bite to make the session a success. 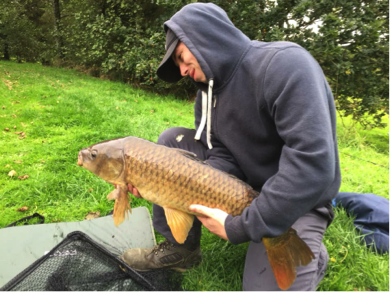 Morgan Lloyd had the first breakthrough after we spotted a 30-40lb carp top between the waves and a single hookbait cast close by soon gave a bite. Unfortunately the fish dropped off before we got to see it. Richard and Tony also both had big fish top in front of them and the tension was clear as it felt a bite was on the cards. Morgan was the lucky one again as a single hookbait (Tor baits Squido pop up) produced a bite as darkness fell. A modest mid double common was the result but with the temperature falling and the wind having turned to a bitter North-Easterly it was good to see a fish on the bank. As first light came this morning the keen anglers stood over the rods counting down the final minutes of the session. An alarm sounded and Morgan was again the lucky angler, from the outset it was clear this was a special fish and I soon paddling out with my landing net to scoop up a very long catfish. 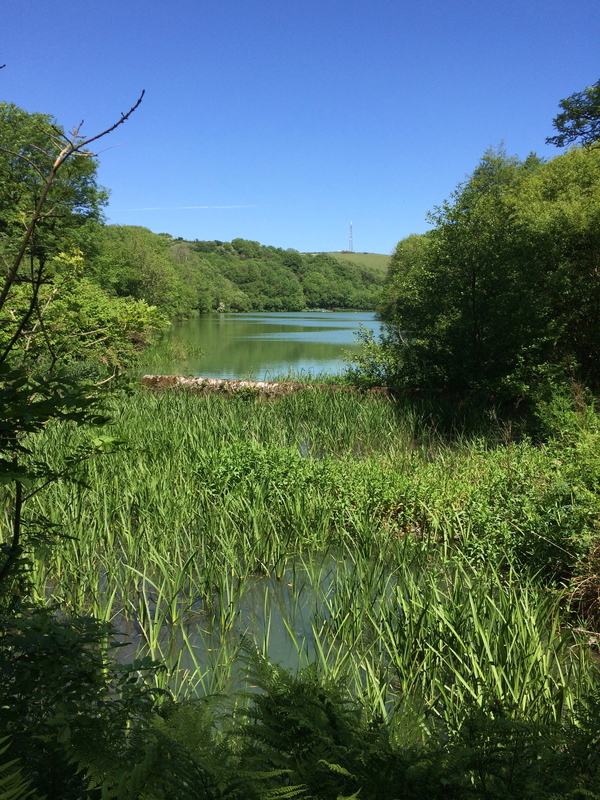 Lower Slade Reservoir is closed for maintenance from October 8th until 27th October.